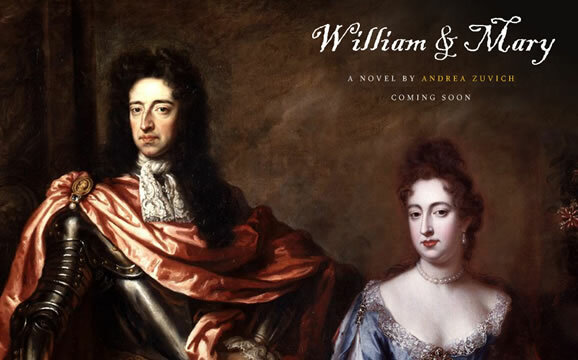 The Seventeenth Century Lady is researching and writing a historical fiction novel about the two ruling English monarchs of the Stuart era, William and Mary. As part of the early promotion, she expressed an interest in having some kind of teaser element on her site to intrigue people and to inform fans of Tudor fiction that the novel was forthcoming. What to do? In a very short space of time, I created the above “teaser” promo movie which is prominently featured on Andrea’s site. Instead of loading the heavy graphics and music with a standard bar, I used a count up to the date of the Stuart era. A classic painting of the couple is used and I animated all of the text and scaling using responsive techniques. I also composed and produced all of the accompanying orchestral music. Excitement among fans of historical fiction is growing as Andrea draws closer to finishing her novel. Her Twitter followers have congratulated her on the promo and it seems to have achieved the aim of providing an engaging and intriguing experience for visitors, putting the forthcoming work in the foreground of their consciousness! I’m now looking for the opportunity to do something at least as good as this in HTML5 and CSS 3. How about something for you? You're the 1,050,299th visitor so far!